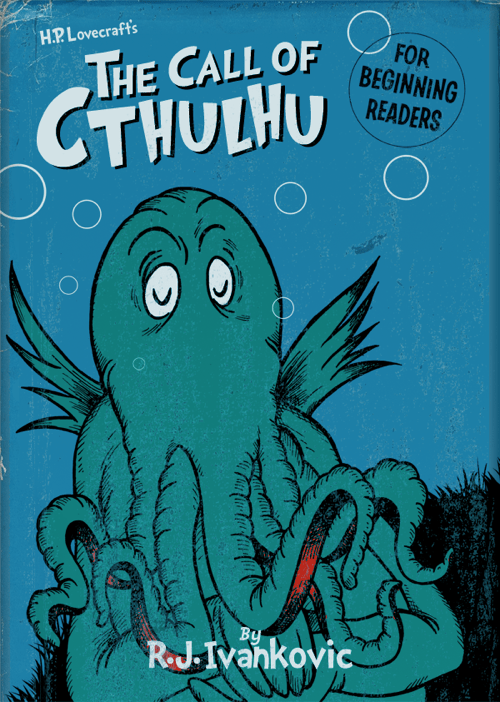 Having just read Lovecraft’s Call of Cthulhu this past Christmas, combined with a deep-seeded love for Dr. Seuss, I was thrilled to come across a mashup earlier today. On DeviantArt, DrFaustusAU makes all sorts of Seussian illustrations, but it was the complete rewrite of the 86 year old horror classic that caught my eye. I went ahead and downloaded all of the images and combined them into a PDF for easier viewing. Be sure to write nice things for the author here. The dropbox link seems to be empty. Any chance you could email the pdf to my foolotto gmail account? Stopped by to try to find that pdf. Looks like I’m not the only fan. I’d be grateful if you could repost it. THanks!